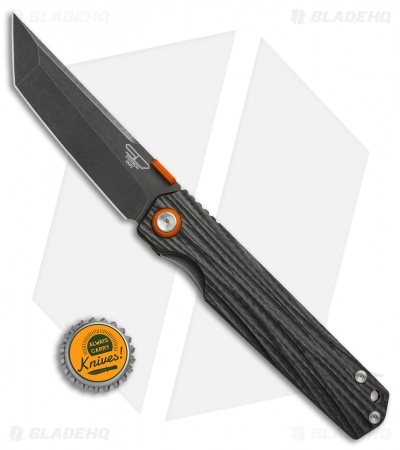 This Shy IV model sports a black stonewashed standard tanto blade and a carbon fiber handle with a water flow texture. 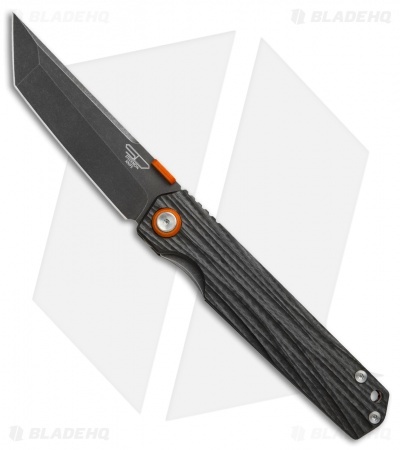 The Stedemon Shy IV offers a slim, lightweight design while maintaining a large blade and handle profile. If you're tired of tiny, keychain worthy knives, the Shy IV delivers with a 3.8" blade and just under 9" overall. 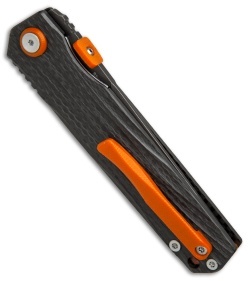 Carbon fiber handles with flow through construction allow for a larger size without weighing down your pockets. 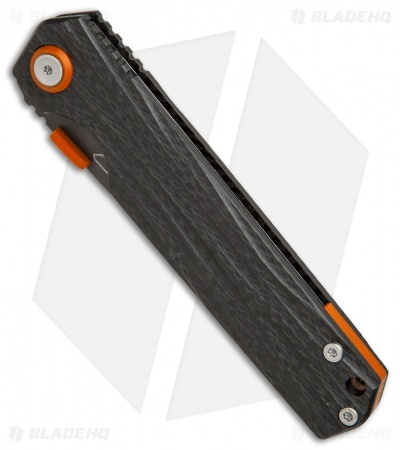 An orange G-10 pocket clip and backspacer finish of the impressive EDC design. Carbon fiber handles offer a lightweight design for comfortable everyday carry.